Club Penguin Cheats by Mimo777 Club Penguin Cheats by Mimo777: Free Items at the Puffle Party! If you haven't heard yet, the Puffle Party is coming April 17! Now I know I love free stuff! Who doesn't love free stuff?! 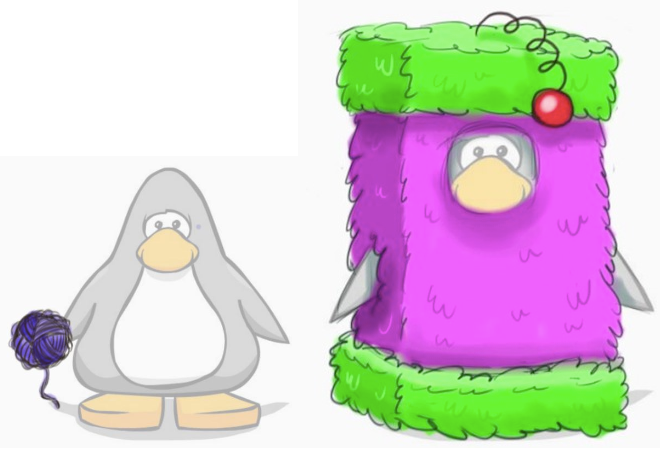 There's going to be SEVEN new puffle-inspired items for everyone to collect and SEVEN costumes for members! What do you think!? Looks kinda crazy!